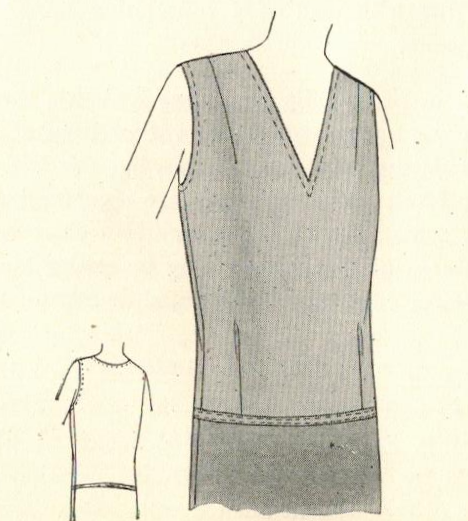 In 1920s fashion, a two-piece dress required a foundation for its skirt. Whether that foundation was a stay belt, a hip yoke, or a lining depended largely on the specific lines of the dress and the material of which it was made. The material of the dress also influenced the material of the foundation, both as to kind and color, for exact matching was much more important if the material is sheer than if it was not. In this post, I examine the built-up lining more closely, which is more fitted than the camisole. 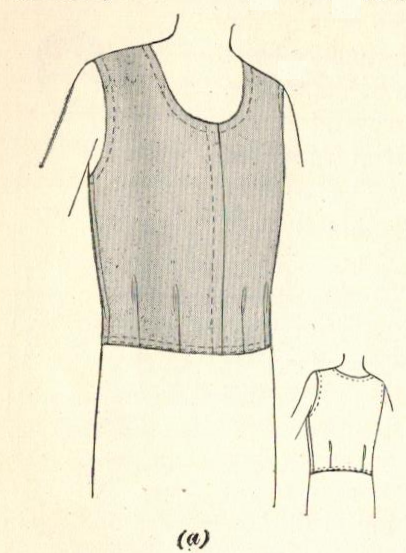 The built-up lining provides protection to a dress, particularly across the shoulders, or as a skirt foundation. It is also used as a foundation for a dress having a bloused effect. Center front opening: add or omit (if omitted, make neckline wide or deep enough so that it is easy to slip the lining over the head). For the average figure, a built-up lining at normal waistline length requires 1-1/8 yards; hip-length requires 1-3/8 yards. 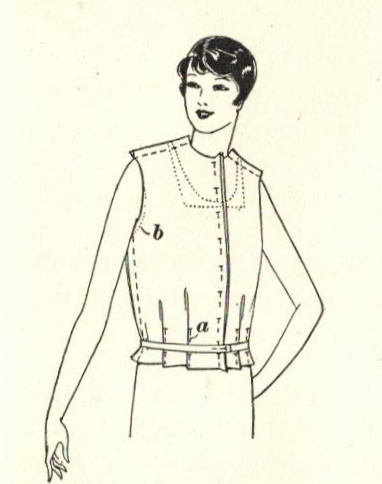 You could use a "regulation lining" pattern or plain foundation waist pattern. 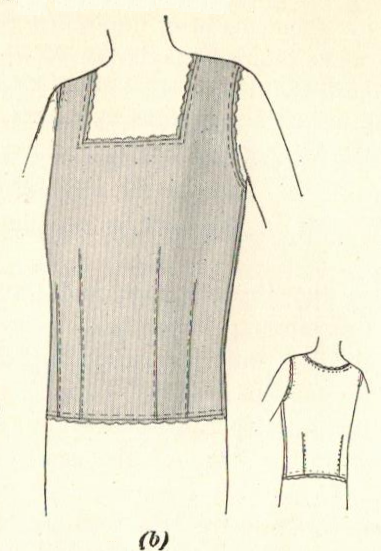 As you can see in the images above, the built-up lining is more fitted than a camisole, with vertical tucks, dart-tucks, or darts at the hemline and shoulders in varying lengths. A foundation belt can be attached to the lower edge. I have a 1910s dress that uses a lining as a foundation for a skirt. I had no idea what a "built-up lining" was, but now it's all making sense! Thanks for the great info! How cool that you have a dress from the 1910s! Lucky you, Emileigh Mimi. I am happy to provide some history about these rarely discussed details of fashion. 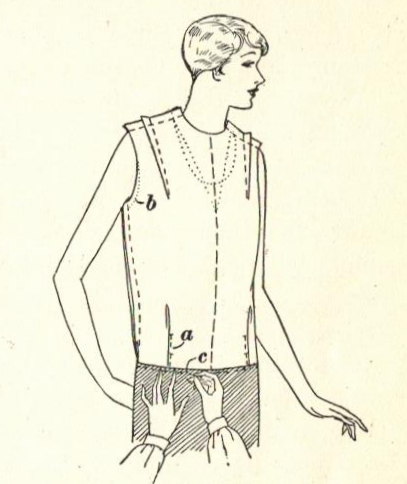 :) Be watching for a few more posts from me on 1920s foundation garments.